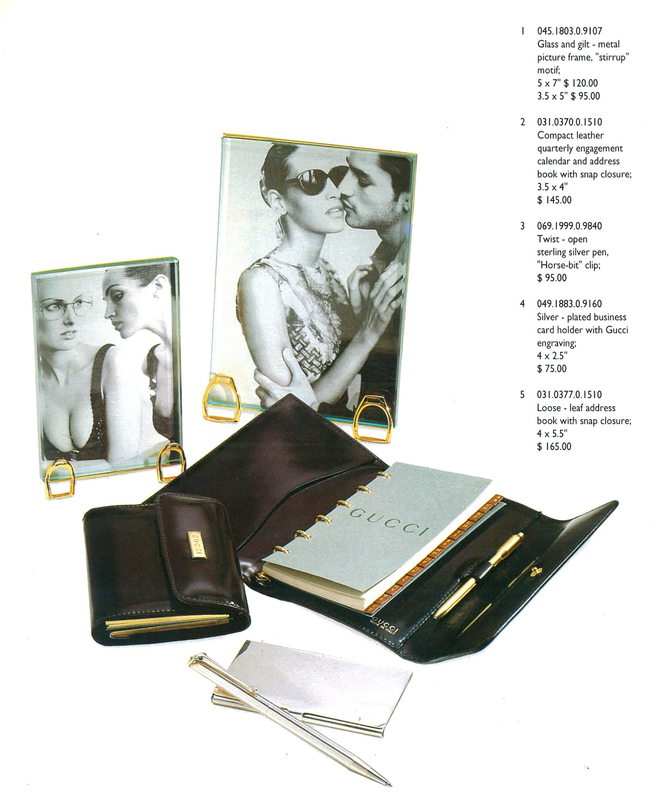 Dress up your home or office with these vintage Gucci leather desk accessories. 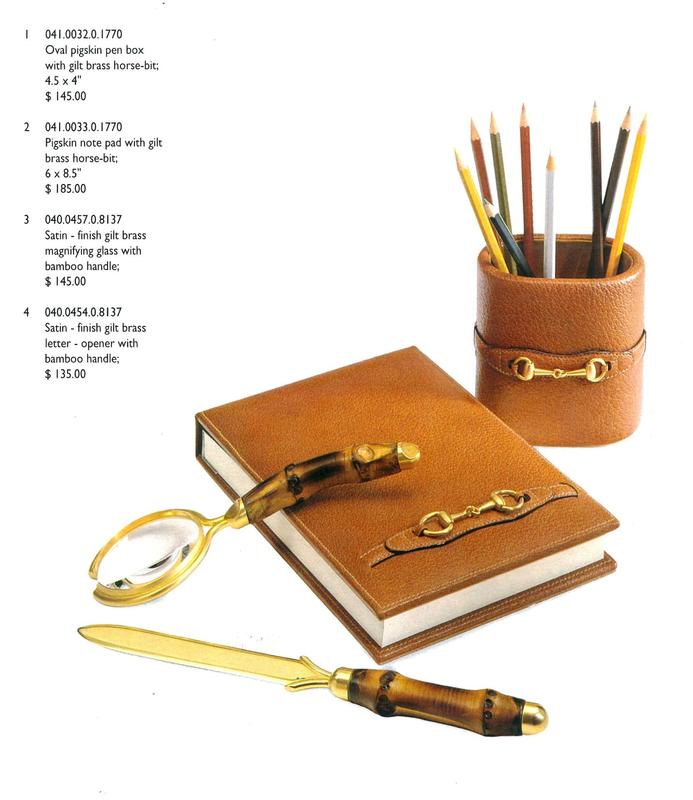 They are from a 1995 catalog featuring an Oval Pen Cup in brown pigskin leather with a decorative gilt brass horse-bit, an icon of Gucci. 4.5” x 4”, retailed for $145. The Pigsking Notepad measures 7” x 8.5”, and retailed for $145. The magnifying glass with bamboo handle has always been one of those pieces I have never come across on ebay, I would love to add this to my collection. The Satin finished gilt brass letter opener with bamboo handle is my favorite item from this collection. It’s a piece of luxury that you can use everyday (although less and less) but nonetheless it’s great. Retailed for $135. Gilt Metal and Glass Photo Frames with a classical Horsebit Stirrup motif at the base. The larger 5” x 7” retailed for $120 and the smaller 3.5” x 5” retailed for $95.